Spread over a vast area you´ll find the archeological site of Tula which is just outside the modern town of Tula de Allende. 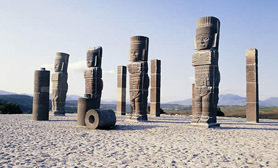 The largest cluster of ceremonial structures is nicknamed Tula Grande, while a smaller group is called Tula Chico. The site features a terraced pyramid, the towering Atlantes warrior statues, the Palacio Quemado and reclining sculptures thought to depict the rain god called Tlaloc. 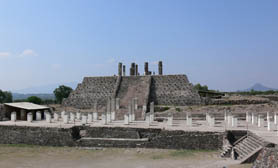 There are also two large courts which confirm the popularity of the Mesoamerican ballgame Tlachtli (or Tlaxco), which was played by the Toltecs hundreds of years ago. 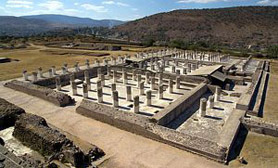 Legend has it that Tula is where the gods Quetzalcóatl and Tezcatlipoca had an epic battle between darkness and light. 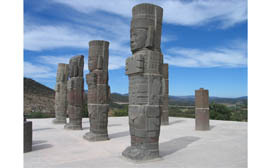 The Hidalgo Tolteca Corridor focuses primarily on the archeological site of Tula, which was the habitat of one of the main pre-Hispanic civilizations living in Mexico. 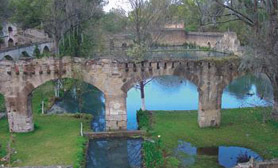 Many of the oldest 16th century monasteries of the state are found at the Hidalgo Tolteca Corridor. Main municipalities included in the Tolteca Corridor are; Tula de Allende, Atotonilco de Tula, Tepeji del Rio, Mixquiahuala, Tlahuelilpan, Tezontepec, and Tlaxcoapan. Hidalgo Mexico has experienced a boom in Industrial development over the past few decades; textiles and cement products being the state’s big earning exports. 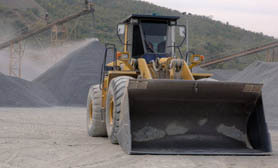 Hidalgo’s mines yield valuable metal ores such as manganese, zinc, iron, copper, gold and silver. Other abundant minerals include gypsum, clays and lime. 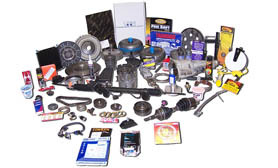 Revenue is also derived from auto parts segment, industrial metalworking and oil production. A little known fact is that the state is fast becoming one of Mexico’s pioneers in the assembly of subway and railroad cars, heavy machinery, automobiles and commercial vehicles. 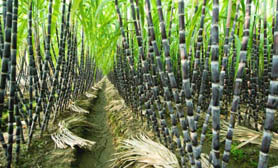 La Huasteca, in the northern part of the state produces some of Hidalgo’s chief export crops, including sugarcane, corn, oats, barley, wheat, beans, chilies, fruits and coffee. 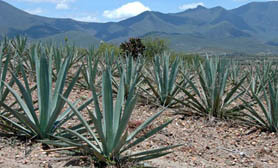 Another main crop is the maguey cactus, an agave plant also known as the American aloe even though it is not related to true aloes. In arid and rocky areas where crops cannot be irrigated, maguey cultivation provides regular income to the population in remote areas of the state. The liquid called agua miel (honey water) is extracted from the plant’s center and fermented to make the popular drink pulque. 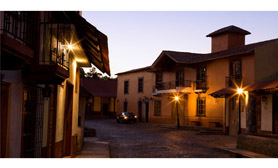 Huasca de Ocampo is surrounded by forests and located near the former mining haciendas of San Miguel and Santa Maria Regla, Huasca de Ocampo. It is a tiny town with white houses, clay roofs and stone cobbled streets. The town’s name means happiness and is derived from the Náhuatl word Huascazaloyam and also blended with the name of a local attorney and politician called Melchor Ocampo. Hidalgo Mexico is just one of the websites Travelucion operates and is part of over 800 travel websites for over 130 countries worldwide. Our Mexico Collection of 70+ websites covers Mexican States, Cities and towns, along with 10 Mexico special interest websites. If you are traveling to Mexico, our websites will assist you in finding the right Mexican destination to suite your tastes and provide you with invaluable information before traveling to Mexico.